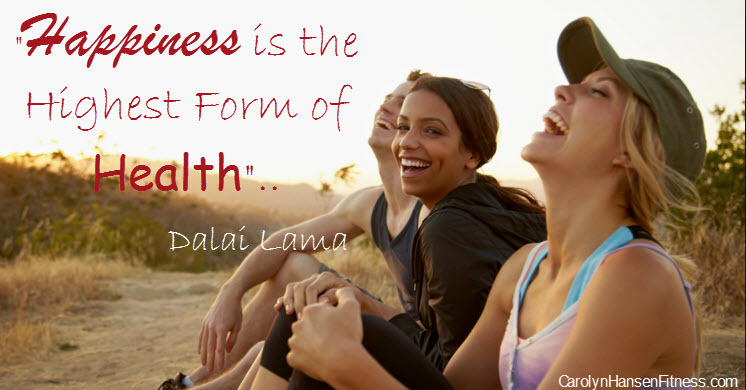 Studies have proven that there is a definite connection between happiness and health. For the most part, people who are happier experience better overall health. Their immune systems are not stressed out so they are able to function properly and work better than those who are stressed keeping illness at a minimum. Studies have also shown that those with a great sense of humor, those that are able to let loose and laugh a lot experience happier moods and healthier bodies. Not surprising since laughter is a vibration that resonates through you. Happy people are younger people because they take better care of themselves. They exercise their bodies more and treat them to good nutrition. They have healthier arteries and younger hearts and recover quickly from illness or surgery. They experience lower blood pressure, cope with pain better and have longer life expectancies than “unhappy” people. There is no greater emotion than that of gratitude. A grateful heart is a happy heart. Continued gratefulness means continued happiness. Happiness is contagious: Hang with happy people. No one likes a “sour puss.” One sour puss in the room can bring the energy of the whole room down a notch. On the other hand, someone whose attitude and spirit reflect joy can life the energy in a room. Spend quality time sharing your life with as many close friends and relatives that you enjoy. The amazing thing about happiness is that it creates a healthy immune system which results in more energy and a healthier body but it also works in reverse. A healthy body and lifestyle also result in happiness. Being happy feeds your immune system and a healthy immune system feeds your happiness. It truly is a marriage made in heaven and you have the controls. The mind-body connection is real and needs to be acknowledged, and attended to or the walls of your carefully architect created vision of the future will eventually come tumbling down. Bottom line is this: your health is a reflection of you and one of the strongest predictors of happiness and happiness in turn is often based on how healthy you are. Are you paying attention? Check out the newest addition to my anti-aging library of help…“Reclaim Your Longevity.” Isn’t it time you focused on you?